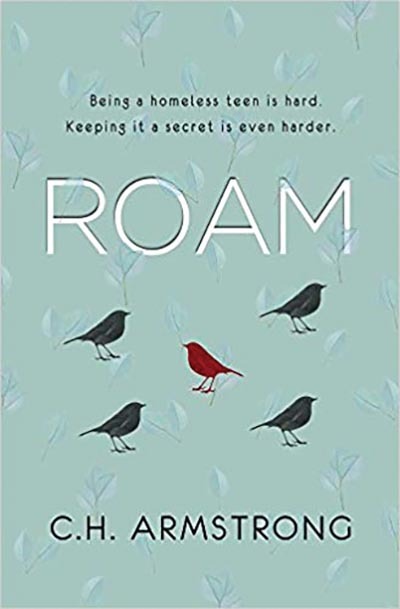 Rochester author Catherine H. Armstrong has written a new book, “Roam,” which will be released February 5. Armstrong’s first book, “The Edge of Nowhere,” was published in 2016. Armstrong wrote an article for the November/December 2014 issue of Rochesterwomen magazine that she describes as a “life-altering event.” The article, “Saturday Noon Meals Provide More Than a Simple Meal,” describes meals—supported by donations—offered to those in need at Christ United Methodist Church at 12 p.m. every Saturday. Armstrong explains one woman used to organize it and volunteers served the meals. This entry was posted in Book Reviews on January 2, 2019 by Alison Rentschler. “All those years, I heard many families in the refugee settlements praying to get resettled in Minnesota. For many, the term Minnesota is synonymous with America,” said Hussein Mohamud, one of the refugees interviewed in Hudda Ibrahim’s book, “From Somalia to Snow: How Central Minnesota Became Home to Somalis.” Like Mohamud and many other Somalis, at age 19, Ibrahim arrived in the United States as a refugee. It was Minnesota resettlement agencies that first settled Somali refugees here in the United States. Once here, however, it was Minnesota itself that became a draw for this newest of immigrant communities. This entry was posted in Book Reviews on January 2, 2019 by Anna Matetic. Released in March by Inklings Publishing, “Her Dark Inheritance” is a horror thriller—in the style of Stephen King—where a sinister something resides in a small, off-the-beaten-path community of Willoughby, Minnesota. There, in what appears a quaint town, a Lizzie Borden-esque style murder has remained unsolved for nearly 25 years. In the days following the murder, the main suspect, Caroline Bergman (the daughter and twin sister of the victims), disappeared. In present day, cancer-ridden Jane Downs-Forrest makes a deathbed revelation to her daughter, Daphne, confessing to her real identify, yet proclaiming herself innocent of the “Minnesota Borden murders.” Determined to clear her mother’s name, Daphne sets out for Willoughby. But as secrets are uncovered, a sinister being is unearthed and turns its focus on Daphne. This entry was posted in Book Reviews on September 7, 2018 by Catherine H. Armstrong. JUST WEST OF ROCHESTER ON HIGHWAY 14 IS A MAJESTIC STRUCTURE HOUSING A LOCALLY OWNED PET STORE AND BOARDING FACILITY, LEASHES & LEADS. FOR YEARS I’VE HEARD ACCOLADES FROM FRIENDS, PRAISING THE BUSINESS FOR ITS PET TRAINING AND BOARDING SERVICES. I’VE ALWAYS INTENDED TO VISIT BUT NEVER MADE THE TIME UNTIL READING “NELL’S WAY,” A BIOGRAPHY WRITTEN BY LOCAL AUTHOR CINDY MENNENGA, WHICH RECOUNTS THE LIFE OF NELL MONTGOMERY MITCHELL—THE HEART AND SOUL BEHIND THE CONCEPT AND SERVICES PROVIDED BY LEASHES & LEADS. 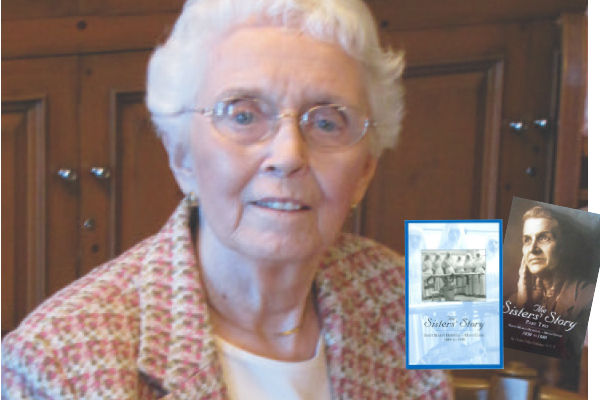 Published in November 2017, “Nell’s Way” is a beautiful tribute to a woman whose life was guided by her faith, an unwavering love of family, and a dedication to improving the lives of others. 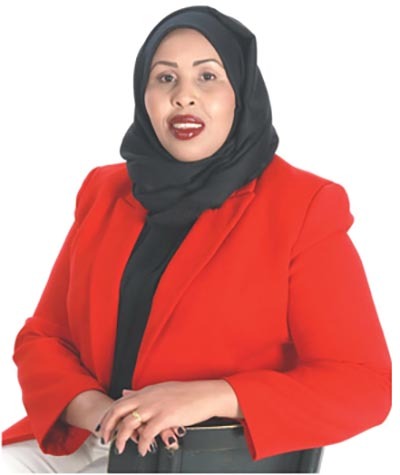 In addition to being the financial backer who gave life to Leashes & Leads, she was actively involved in all aspects of the business’ philosophy, epitomized in the family-friendly feeling one gets when visiting the property. This entry was posted in Book Reviews on April 26, 2018 by Catherine H. Armstrong. Five approaches to the way we use words. WORDS HAVE SOUL, MEANING AND LIFE. THEY CAN UPLIFT OR HURT DEEP WITHIN. THEY CAN UNCOVER BROKENNESS AND OFFER HEALING. THEY CAN CONGRATULATE, ENCOURAGE, EMPOWER AND SPEAK VOLUMES. WORDS CREATE RHYTHM AND TAKE YOU TO PLACES YOU HAVE NEVER BEEN. WORDS ARE ENGAGING TO LISTEN TO WHEN THEY ARE BACKED WITH PASSION. WORDS CREATE EMOTION AND LAUGHTER AND NEW THINKING. LOCAL POETS ARE USING WORDS TO DO THESE THINGS THROUGH PERFORMANCE, SPOKEN WORD, FILM, PUBLICATION AND PERSONAL ENJOYMENT. Spoken word isn’t merely just reading a poem from a written page. It is much more dynamic, moving energy in and out to an audience by way of voice and inflection. Pam Whitfield, an award-winning poet and teacher, is most interested in spoken word performance when it comes to poetry. When a colleague first approached her with the idea of slowing her poetry down and backing it with music, she was apprehensive. She doesn’t regret taking the risk because it developed her love for collaboration and performance through spoken word. This entry was posted in Book Reviews on March 1, 2018 by Joy Blewett. Rochester author, Debbie Lampi, is celebrating the release of her second full-length novel. Written under the pen name D.A. Lampi, “An Unfortunate Death” was released in September 2016 by New Concepts Publishing. The novel focuses on the character, Johanna Hedrick, a psychologist who unwillingly becomes embroiled in a murder investigation when her college-age daughter begins an obsessive romantic relationship with her creative writing professor, who also happens to be Johanna’s client. When the professor’s lover is found dead, suspicions turn to him, until a cell phone belonging to Johanna’s daughter is found at the murder scene. This entry was posted in Book Reviews on April 25, 2017 by Catherine H. Armstrong . March is Women’s History Month, and to commemorate, let’s look back on the history and works of some of the remarkable women whose contributions to Rochester are at the heart of our great city: The Sisters of St. Francis, who celebrate their 140th anniversary this year. In 1883, a tornado ripped through the mostly rural town of Rochester, leaving the town destroyed and its people injured and devastated. Among the first on the scene were Mother Alfred Moes and the Sisters of St. Francis who tended the injured alongside Dr. William W. Mayo and his sons, Drs. William J. and Charles H. Mayo. That was the beginning of an extraordinary partnership between Mother Alfred and Dr. William W. Mayo. This partnership led to one of Rochester’s earliest hospitals—what we know today as the Saint Marys Campus of Mayo Clinic Hospital. Legal enthusiasts will be shocked to know that no legal document was ever drawn between Mother Alfred, the Sisters of St. Francis, Dr. William W. Mayo or even the Mayo Clinic as it stands today. The partnership continues as it began: a professional and spiritual bond built entirely upon trust and respect. This entry was posted in Book Reviews on March 7, 2017 by Catherine H. Armstrong . The legendary Pandora’s Box may be one of the most recognized sagas from Greek mythology. Pandora opened the forbidden box given to her by Zeus and, in doing so, unleashed countless ills and catastrophes upon the world. What if the worst and final devastation still remained within The Box and, together with Pandora, had survived the generations? 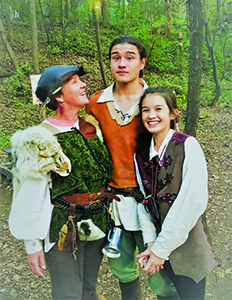 Such is the premise of Rochester author Amy Hahn’s newest novella, “Pandora’s Passion.” With this unique premise, Hahn imagines a world where Pandora has survived to modern day and lives out her days in northern Minnesota cursed to guard the last contents of The Box. When the safety of The Box is threatened, she is visited by her immortal love, Prometheus, and together they join forces to protect mankind from the evil-doers who would release its contents. This entry was posted in Book Reviews on January 5, 2017 by Catherine H. Armstrong . 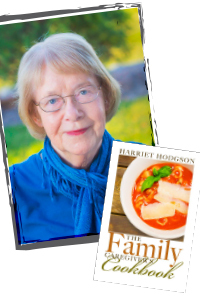 Rochester author Harriet Hodgson recently released her newest edition to the four-part “Family Caretaker” series. Her new release, “The Family Caregiver’s Cookbook: Easy-Fix Recipes for Busy Family Caregivers,” hit bookshelves on October 11. Like its predecessors (see Rochester Women magazine November/December 2015 issue, page 47), this newest book focuses on helpful strategies for family members as they navigate their new world as caregivers. Hodgson is no stranger to the role of caregiver. In 2013, her husband, John, suffered a spinal cord injury while undergoing surgery to repair a dissected aorta. The injury left John’s legs paralyzed, leaving Harriet to manage not only John’s daily care, but an entire lifestyle adjustment for both of them. This entry was posted in Book Reviews on November 2, 2016 by Catherine H. Armstrong . September 25 through October 1 marks the 2016 Celebration of Banned Books Week. This annual event, sponsored by the American Library Association and its many partners, celebrates reading and Highlights the importance of giving individuals the right to choose their reading preference. Three of the top 10 most challenged books in 2015 featured themes related to homosexuality and transgender identity. 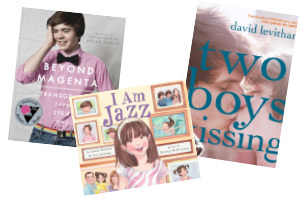 They are “I am Jazz” by Jessica Herthel and Jazz Jennings, “Beyond Magenta: Transgender Teens Speak Out” by Susan Kuklin and “Two Boys Kissing” by David Levithan. All are written for youth under the age of 18. This entry was posted in Book Reviews on August 26, 2016 by Catherine H. Armstrong .